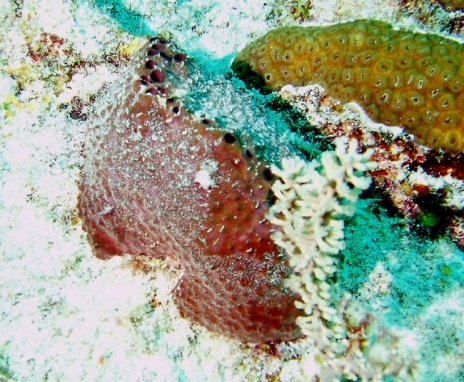 Like other members of this genus, Ircinia felix is massive in shape (though rarely larger than 0.4 metres across), with a regular pattern of bumps on its surface. In this species the bumps may be joined in a lattice-like pattern. The exhalent pores are relatively large and scattered, not usually grouped. The exhalent pores may align because of currents. 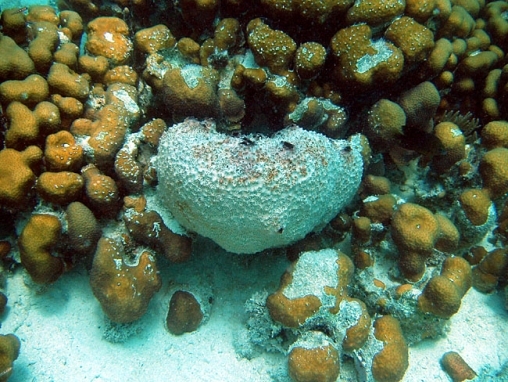 A light coloured sponge, grey to white, overlying a chocolate brown. 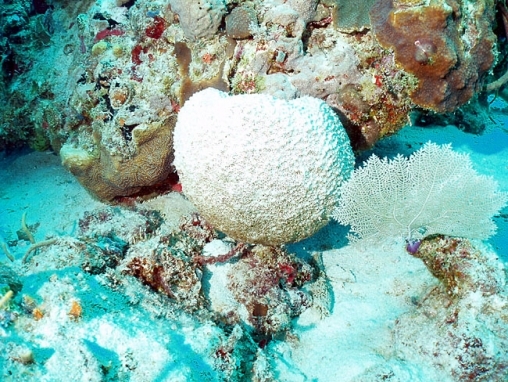 Its common name is ’Stinker sponge’ for obvious reasons.